Topface - International dating service. When using Topface, you’ll see that you can meet with those who you want. It’s so easy. 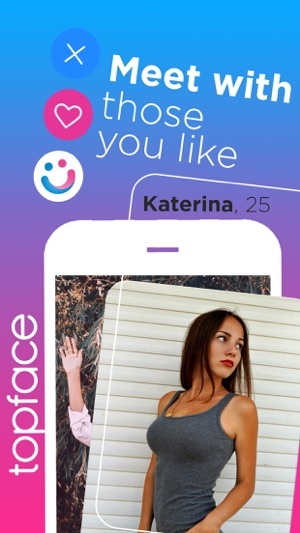 - 100 million people around the world are already using Topface, to match for people they are interested in. - To start using the application, register, or just use your Facebook account. 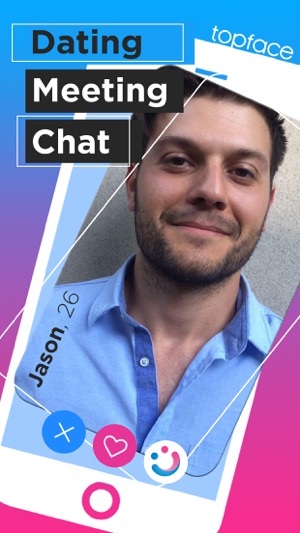 In just 5 minutes on Topface, more than 50 people will be interested in meeting with you, your profile will get more than 100 likes, and your photos will gather more than 20 comments! If you buy a subscription, any unused, free trial time will be lost. To take advantage of all the app's features, you need to allow background geo-positioning which may decrease your device's battery life. 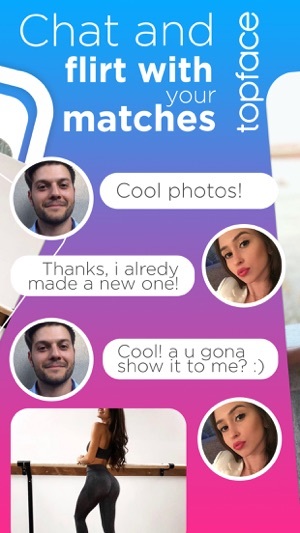 This app was one of the WORST dating apps I have ever downloaded! It took 30 minutes to upload 3 pictures and than stopped letting me upload more pictures.